Well, we’re guilty. With all the swirling snow, we decided to spend last night watching and re-watching some of our favorite movies. 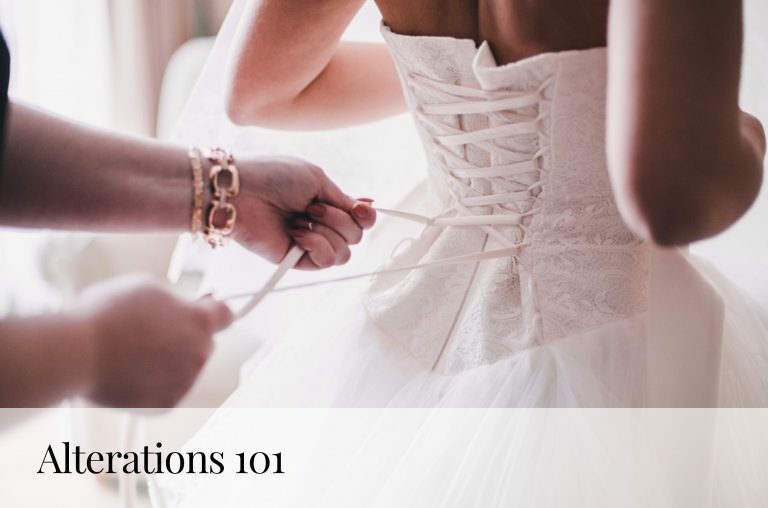 It’s not our fault that most of them involve love, princesses, marriage and a whole lot of blinged-out, over-the-top dresses. Okay, maybe it is our fault, but can you blame us? Disney Princesses just do it so well. So, in honor of their sublime fashion sense, this new winter chill (and, the fact that we woke up feeling like Elsa…), we’ve compiled nine of our absolute favorite ball gowns that would be perfect for a shimmering winter wedding. Cue up the “Once Upon A Dream” waltz and prepare to feel like royalty. 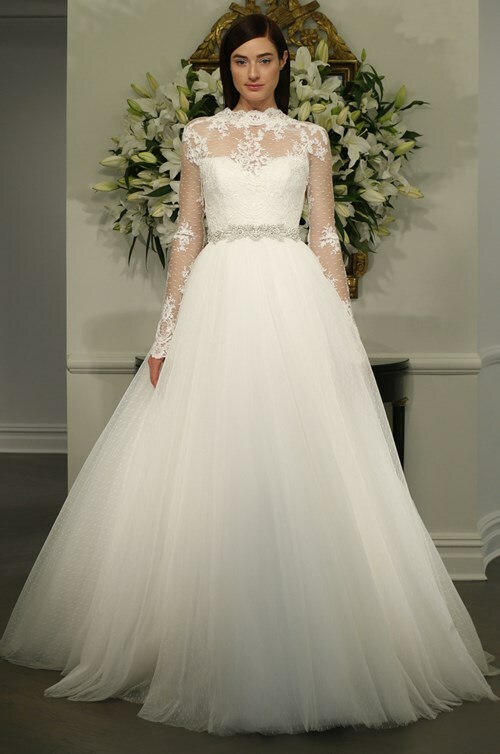 The tulle and lace combination on this Romona Keveza dress is traditional and classic. The tiered tulle skirt and embroidered bodice on this Lazaro make us think of dancing with a handsome prince in a grand ballroom. 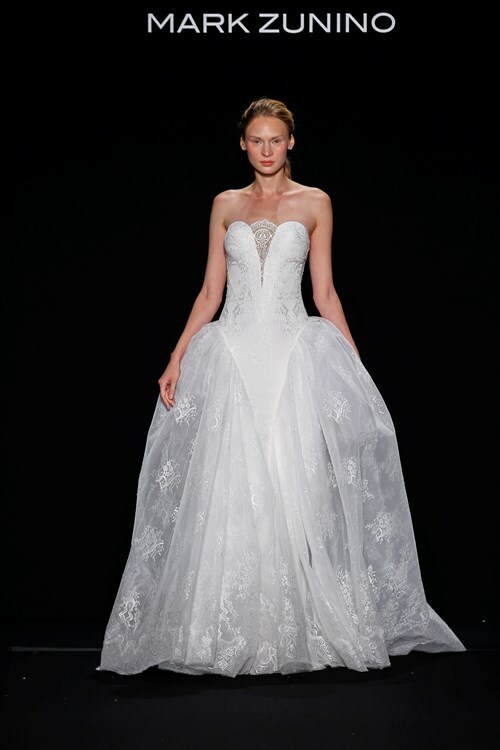 No one designs over-the-top gowns like Pnina Tornai. This lace gown, with matching headpiece, is a show-stopper. Trying to add a unique spin to a princess gown? This Edgardo Bonilla has a high neckline, layered top and dropped waist. 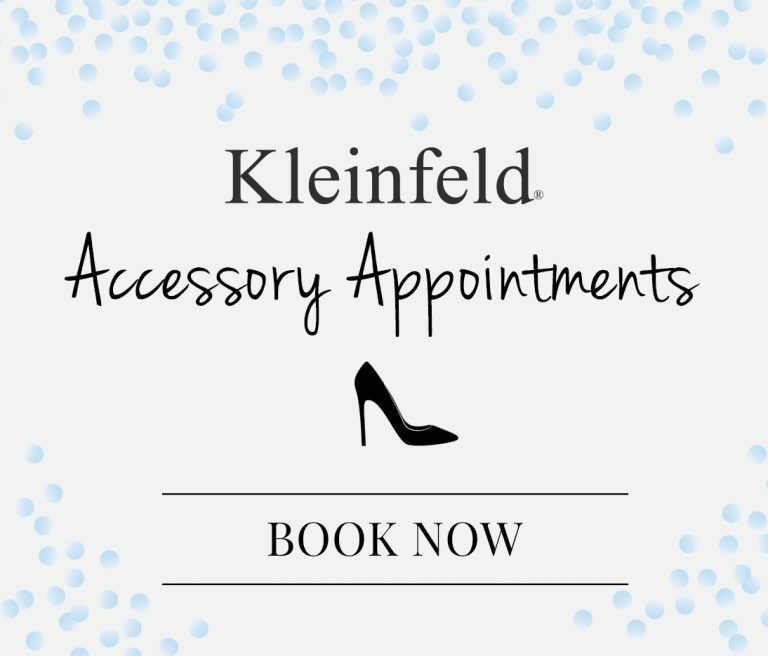 Chic and classic. Nothing says elegance like this silk brocade ball gown by Dennis Basso. We love that the fabric reminds us of fresh snow! Walk down the aisle towards your prince in this tiered Rivini gown with silver embroidered bodice. This chantilly lace gown by Mark Zunino is delicate and regal. We would love to pair it with silk gloves and a tiara! For a more modest and traditional take, this satin Tony Ward gown has everything a princess needs. We love this modern take on a ball gown by Peter Langner–clean, elegant, flawless. 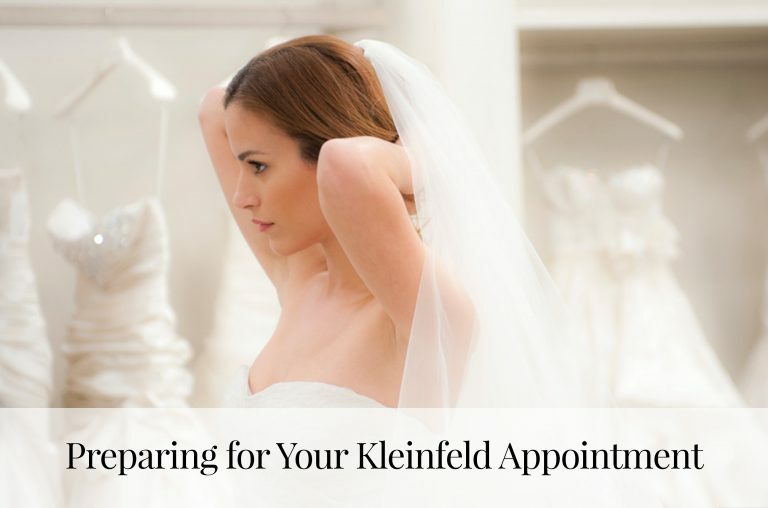 Tell us your favorites @KleinfeldBridal on Facebook, Twitter, Instagram & Snapchat!